The great Israeli Communist lawyer and activist, Felicia Langer, died last week in Germany at the age of 87. Langer rejected colonialism, Israel’s endless wars, land theft, torture, apartheid, ethnocentric nationalism, chauvinism and countless violations of human rights and international law. 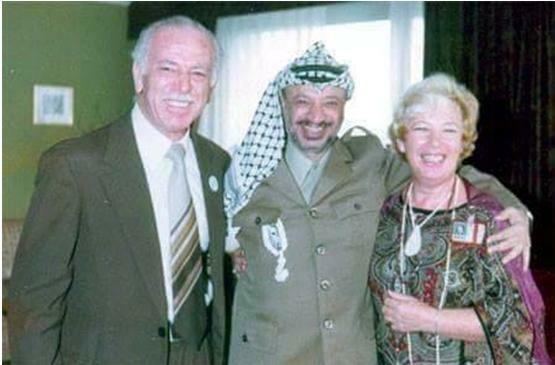 Langer rose to prominence in the 1960s and 70s defending Palestinian detainees from the West Bank and Gaza Strip, and also authored several books highly critical of Israeli occupation forces. Most of her family were killed in the Holocaust and after the war, she married concentration camp survivor Mieciu Langer in 1949. The following year the couple moved to Israel, where her mother lived and where Langer studied law. In the late 1960s, she was one of just a handful of lawyers representing West Bank residents. Most of this group were Arab-Palestinian citizens of Israel, almost all of them Communists. After the occupation in June 1967 the connections between the Israeli and West Bank and Gaza Communist movements paved the way for lawyers from Israel to represent Palestinian residents under occupation. Following Langer’s lead, these lawyers laid the groundwork for the extensive legal activism that continues today, activism marked by partnership, Sisyphean legal battles, and trust, given daily by Palestinians to Israeli lawyers, some of them Jewish, to represent them before Israeli institutions, primarily the Supreme Court. For several years, Langer was a member of the Central Committee of the CPI.